In and around Papua New Guinea alone, sit a dozen multi-million once gold projects, ranging in size from 2 million ounces, to over 63 million ounces. 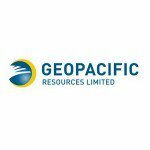 Now, Geopacific Resources (ASX: GPR) has taken a strong foothold in the region as it progressively earns into the Woodlark Project, with a long term goal to transform into a 120koz pa gold producer. The Woodlark Project has already had over $150 million spent on exploration over the years, and GPR are aiming to increase ore reserves to 1.2 million ounces of gold. Already excellent assay results are being delivered, however drilling is ongoing, with an RC and two diamond rigs working hard. As GPR continues its aggressive exploration, it is quickly moving towards recording an updated reserve and rebased feasibility study to be completed in mid-2017, just a few months away now. Current drill results continue to return wide sections of continuous grade mineralisation confirming GPR’s re-evaluated geological model. With a clear path to production, it looks as though GPR could have an early mover advantage in an often overlook region that has abundant gold resources.